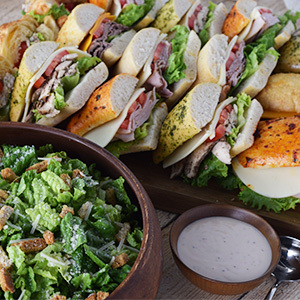 Sandwiches, soupes & salades for the group. 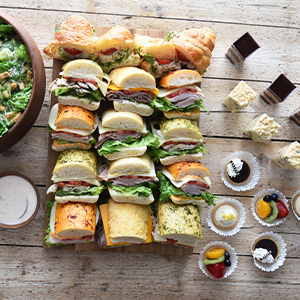 An assortment of individually wrapped bistro sandwiches, served with a café side salade, salt and pepper chips or tomato basil pesto pasta salade and your choice of our assorted mini tart and parfait or seasonal cookie trays. 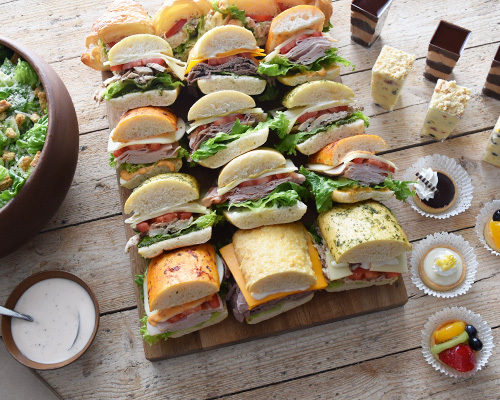 An assortment of individually wrapped bistro sandwiches, served with a café side salade, salt and pepper chips or tomato basil pesto pasta salade.